You're a real Gamey Pond. You prefer a party of two (you and a good book), can't understand why this music is so loud, and are most certainly going to have to take care of your friends when this is all over. Learn more about Gamey and all of her friends at www.partyfowlthegame.com! Are you ready to talk philosophy, listen to some good tunes, and participate in some questionably legal activities? If so, you're a Henrietta Fowley, and you're just hear for a good time, man. Learn more about Henrietta and all of her friends at www.partyfowlthegame.com! Well, this is awkward: you're a Milicent Paddlewaddle and you would rather not be here. But, as the night goes on and the booze flows freely, you're going to become the life of the party (and then the drunkest duck in the room). Learn more about Milicent and all of her friends at www.partyfowlthegame.com! Are you involved in too many campus activities? Do you take too many selfies? Do you know the words to too many Drake songs? Then you're a Feather Lockbeer, and you're ready to have a good time. 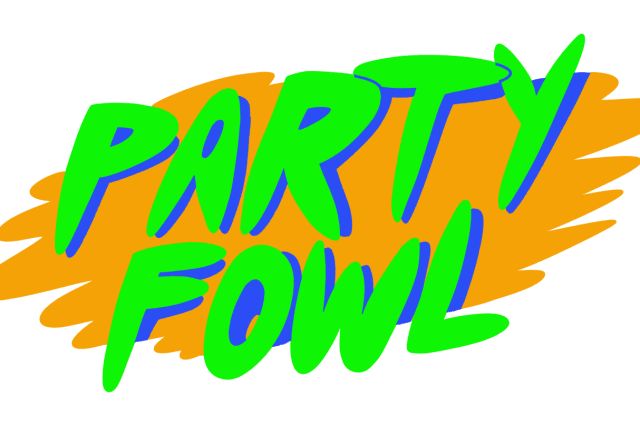 Learn more about Feather and all of her friends at www.partyfowlthegame.com! Congratulations! You're a Peter Duckledge and, chances are, you're the life of the party! Your unique personal style catches the eye of those around you, and your deep affection for 80s blockbuster film, Goosebusters, means your always ready with a sly pop culture reference. Learn more about Peter and all of his friends at www.partyfowlthegame.com! Well, you're a Duckasso, which likely means you're not just an actor, you're a performer. You're always ready to tell people about your only-barely-more-than-surface of postmodernism, and you've got some opinions about the modern drivel some call "music." Learn more about Duckasso and all of his friends at www.partyfowlthegame.com! The good news: you've really had some time to find yourself during your second senior year. The bad news is: you still don't have a major and, despite your public cries for its return, your favorite television show isn't coming back. You'll have to settle for the movie. Enjoy continuing to blend in at parties and wearing that hoodie. Learn more about Bill and all of his friends at www.partyfowlthegame.com! It must be hard to get anything done while you're pumping all that iron. Your (webbed)football scholarship is great for now, but it won't last forever. Luckily, your Communication degree has a high upside and your crippling fear of public speaking is getting better. Learn more about Theo and all of his friends at www.partyfowlthegame.com! Ever wondered who you would be if you were a college-aged duck attending a house party the weekend before finals at Duck U? Well, you're in luck! Take the quiz, find out who the duck you are, and then learn more about yourself and others at www.partyfowlthegame.com! Then, check out our Kickstarter launching on May 23!